New Issey Miyake Pleats Please handbags are available from the Spring Summer 2017 collection. Multicolored fringe covers small, lightweight drawstring pouches. This gives the bag plenty of movement that is both playful and fluid. The vibrant colors and bouncing movement is emblematic of Issey Miyake fashion of experimentation and innovation. While the Issey Miyake lines continue to use innovating technology, inspiration stays in the realm of natural, organic, and animalistic form. 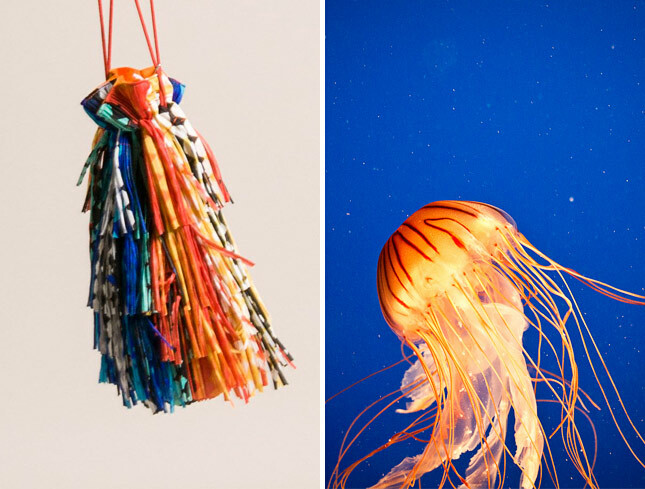 This bag in particular becomes a nod to the sea and its animals, such as the jellyfish.